The emotional play got a great response from the audience, mainly IT professionals who got their kids along at Phoenix Arena on Sunday. The Nishumbita Ballet and Theatre group got back in action with the third edition of their annual festival Natyotsav. Right from the stage to the audience, it was a fully-packed house. The event comprised three interesting and starkly different plays — Vijay Tendulkar’s Bobby, On Par and The Last Human, based on Dharamveer Bharati’s Srishti Ka Aakhri Aadmi. The first play of the evening, The Last Human gave goosebumps, while the children’s production, Bobby got everyone thinking of the perils of modern society, wherein both the working parents leave their child alone to deal with his or her loneliness and imagination. The last act of the day, On Par was a mime busting the myth of equality in the human society. The emotional play got a great response from the audience, mainly IT professionals who got their kids along at Phoenix Arena on Sunday. 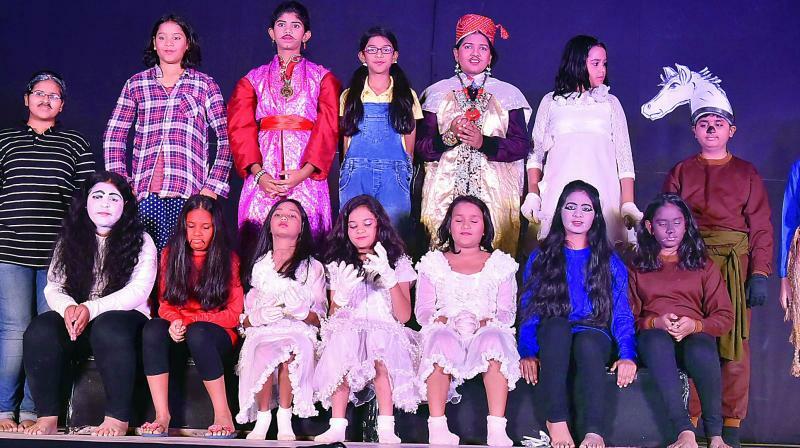 Anjali, a Class II student, who was seen crying with fear after she watched the first play, couldn’t help but laugh as the second play was being staged. “I was really scared when I saw the actors with their red tongues stomping on the stage. But when I saw Bobby, I saw myself in it. Both my parents work, so sometimes I too feel alone and have a great time with my imaginary friends,” she shared.